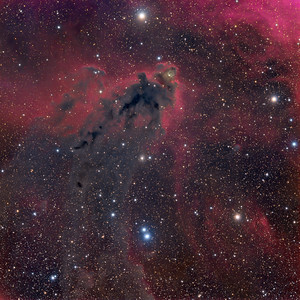 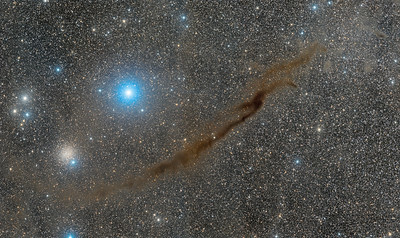 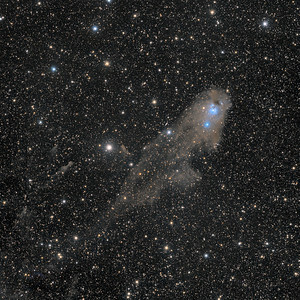 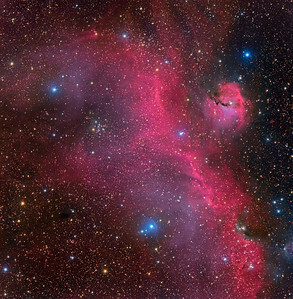 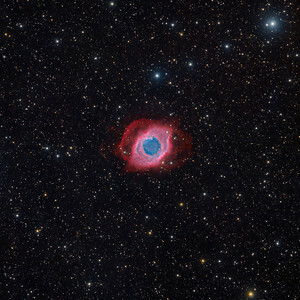 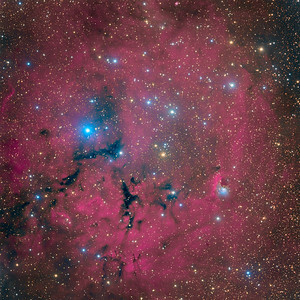 The silhouette of an intriguing dark nebula inhabits this cosmic scene. 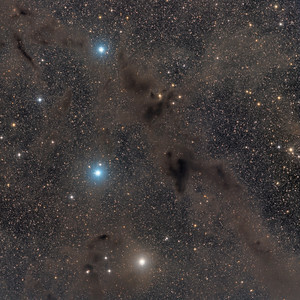 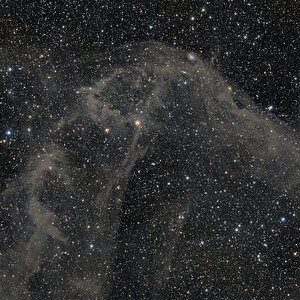 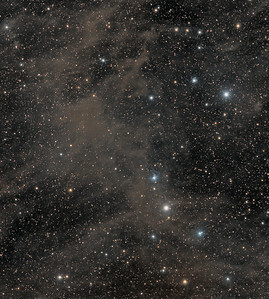 Lynds' Dark Nebula (LDN) 1622 appears against a faint background of glowing hydrogen gas only easily seen in long telescopic exposures of the region. 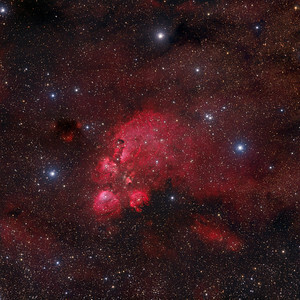 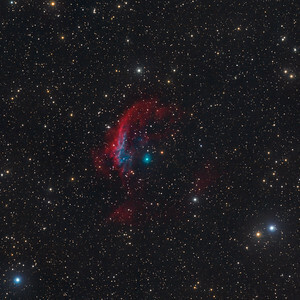 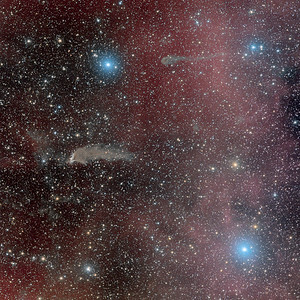 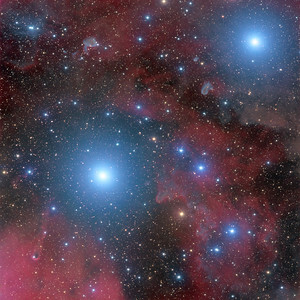 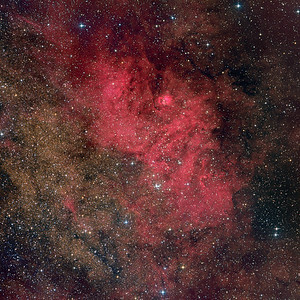 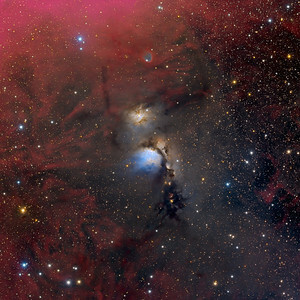 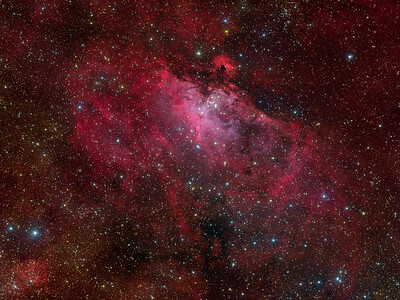 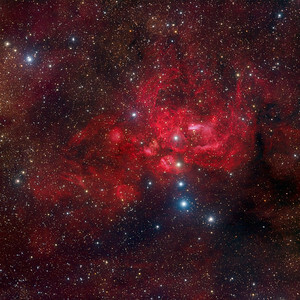 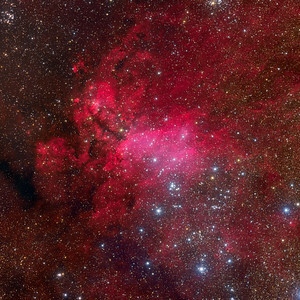 LDN 1622 lies near the plane of our Milky Way Galaxy, close on the sky to Barnard's Loop - a large cloud surrounding the rich complex of emission nebulae found in the Belt and Sword of Orion. 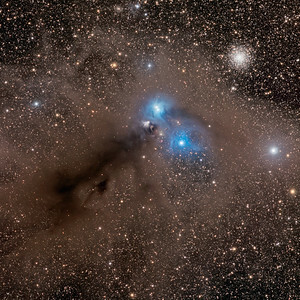 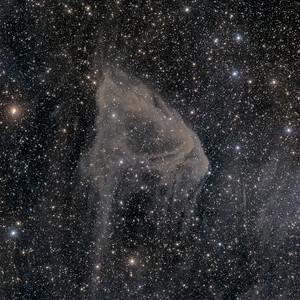 But the obscuring dust of LDN 1622 is thought to be much closer than Orion's more famous nebulae, perhaps only 500 light-years away. 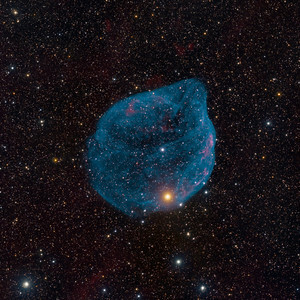 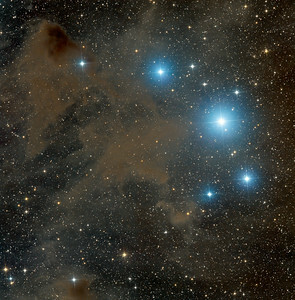 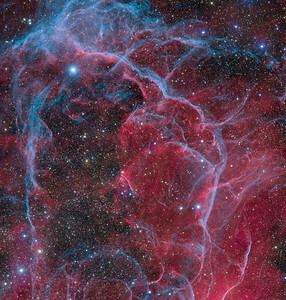 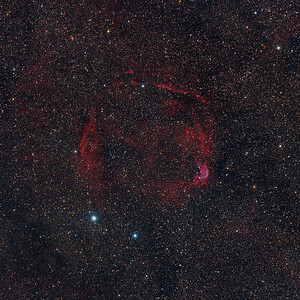 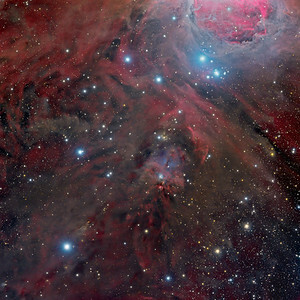 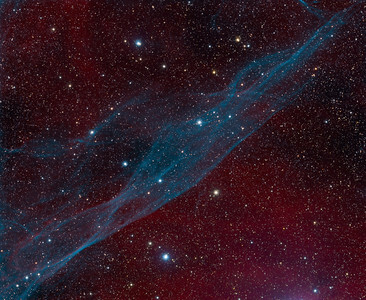 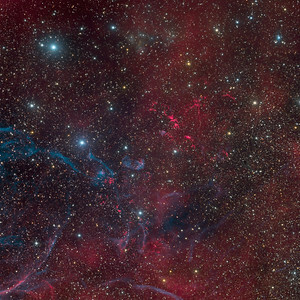 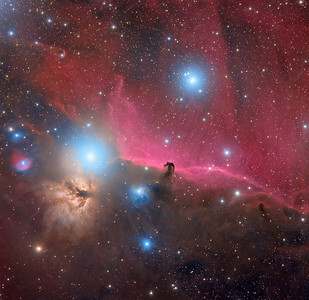 At that distance, this 2 degrees wide field of view would span less than 20 light-years. 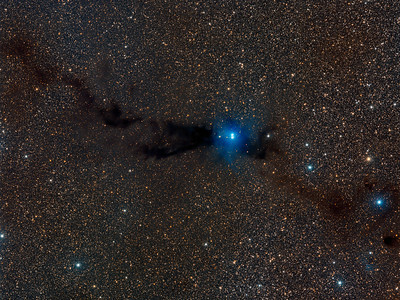 (Text adapted from APOD).